The coolest motorsport on earth – well nearly! The 9:30am flight from Gatwick to Helsinki was running 30 minutes late – I didn’t really care as I was totally cream crackered. I had just arrived back from Sydney a day and half earlier, having gone around the World in a week (covering the World Marathon Challenge). I closed my eyes and fell into a deep, much needed sleep. And so to Finland. I do love Finland and the Finnish people. I admire them for their sense of enjoying themselves in the winter months. I was there to cover the rather grandly titled ‘The Leikkurile LeMans or to put it into plain English, ‘The Ice Grand Prix’. 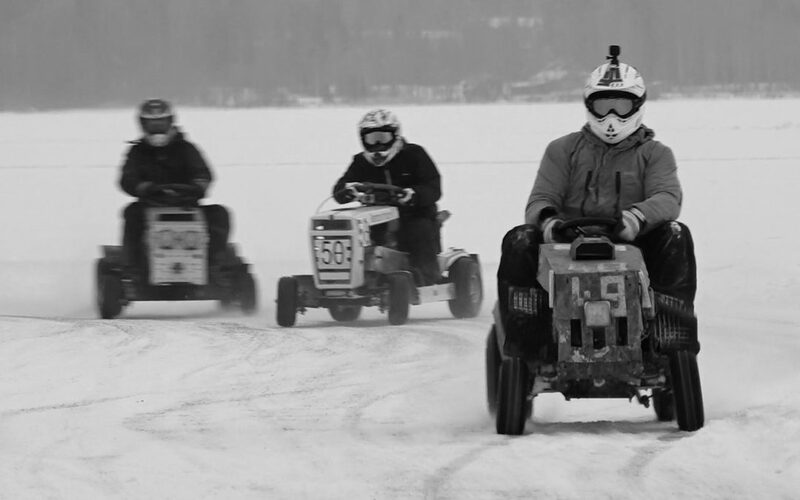 As you can imagine, racing on a frozen lake is about as far removed from cutting the grass as you can get. Watching them sliding all over the place looked a little ridiculous, but I am told it does require skill, concentration and is a real challenge, plus it was heaps of fun. It wasn’t just the Brits who thought this might be a hoot – drivers and their backup crews from across Europe entered the race. The rules are simple; complete as many laps of the 850 metre circuit within a 12-hour time frame.